Building a lifestyle brand is nothing like building, say, an app. Higher degree of difficulty for sure. That’s not stopping Tristan Walker, though. Today, his company Walker & Company Brands has announced a $24 million Series B round of funding. That brings its total funding to $33.3 million. The company is known for its health and beauty products for people of color, including the extremely well-received Bevel razors. Our spidey senses first perked up on a potential raise when Andre Iguodala of the Golden State Warriors took the stage at Disrupt last week and had very nice things to say about Tristan Walker’s company and mission. He’s in. As is lead investor Institutional Venture Partners, Andreessen Horowitz, Upfront Ventures, Daher Capital, Collaborative Fund, Google Ventures, Felicis Ventures and Melo7 Tech Partners. But wait, there’s more. The individuals participating in the round make sense, since Walker & Company is a lifestyle company. The personality of its investors, especially celebrities, can help with getting new deals and reaching a broader audience. On board is Magic Johnson, John Legend, King Bach, Ron Johnson, Jed York, Paraag Marathe, Ryan Leslie, Andre Iguodala, Harrison Barnes, Anre and Paula Williams, Charles King and John Maeda. How’s that for both interest in the business and trust in its leadership? Walker surged to prominence after a run in bizdev at Foursquare. He then spent some time as EIR at Andreessen Horowitz. Now he’s running the show, and clearly running it well. We are thrilled to work with Target to bring Bevel to guests in a new way. Target understands that our brand offers high-quality, unique products while adhering to the same high standards of customer service to which we subscribe. 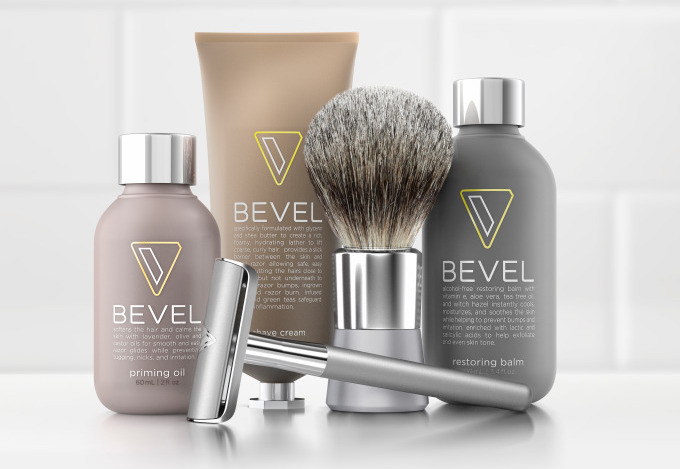 We look forward to seeing our partnership drive increased brand awareness and sales of Bevel. We spoke with Tristan Walker about the company news, as well as what’s unique about starting a lifestyle brand as opposed to just another app. TC: How important is it that investors *get* what you’re doing? TW: It’s very important. Our investors share our vision of building the world’s most consumer-centric health and beauty products company for people of color. Many of them are investing because our mission resonates with their personal experiences, and all of them care deeply about what we’re doing. We are humbled by their support and excited about executing on the next phase of the company. TC: Can you talk about some of your latest hires? What are you looking for? TW: We are are looking for passionate people who share our vision – from engineers, to customer success staff. Our Jobs webpage is testament to how quickly we’re growing. We’ve got customers in 15 different countries organically, which is kind of amazing in part because we are only sold domestically. And when you consider how young and lean we are, it’s a testament to the team’s hard work and I’m extremely proud of what we’ve accomplished so far. TC: Talk about your customers and how important they are to the future of the business. TW: The beauty about being an online subscription business is that you are able to get near real time feedback from customers. We are very proud of the fact that more than 95% of our customers continue to come back each month. People want more Bevel at more places. And we will continue to work hard to deliver the best experience for them. TC: What’s the setup like at Target? TW: We are still sorting out what the in store experience will be like, stay tuned! TC: Major differences with a tech co and building a brand? Specifically one for lifestyle? TW: Building businesses, regardless of type, follows many of the same steps including fostering brand recognition. Walker & Co. is also a perfect marriage of the two types: We are a health and beauty company at our core, but we utilize technology to deliver the best experience for our customers. Whether that is through our online delivery model or through the design of our products. Tech is integral to achieve our mission, which is to make health and beauty simple. The sky is literally the limit for Walker & Company as long as it listens to its loyal customers. Today it’s health care and beauty products, tomorrow it could be cars. Watch Tristan Walker speak at TechCrunch Disrupt NY earlier this year, where he talks about his personal beginnings, work and business ethos and bringing diversity to Silicon Valley.